As wild and wonderful as the woods, the Hawthorn Quiver is perfect for keeping your arrows close at hand. 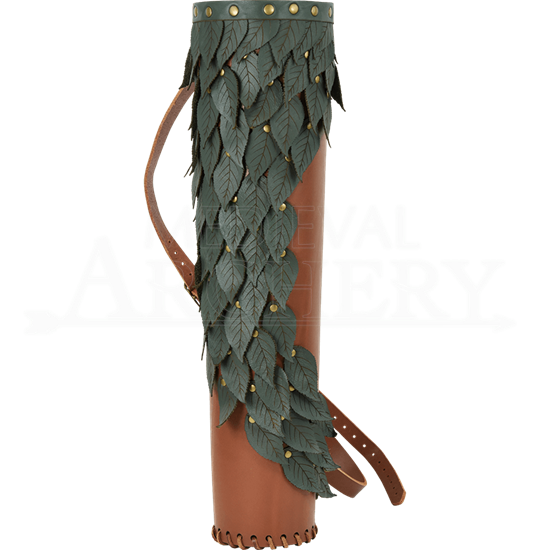 This high quality leather quiver is accented with green leather leaves that cascade down its length in a slight spiral. The leaves resemble those of a hawthorn tree, and they are both flexible and durable, making them resistant to ripping or tearing. The base of the quiver is available in either black or brown vegetable tanned leather, both color options featuring antique brass hardware. Rivets accent the green upper rim and secure each leaf in place, while the back and bottom edge of the medieval quiver both feature leather lacing. The attached shoulder strap is highly adjustable with a sturdy, antique brass buckle. This woodland fantasy quiver can hold traditional arrows and LARP arrows alike. 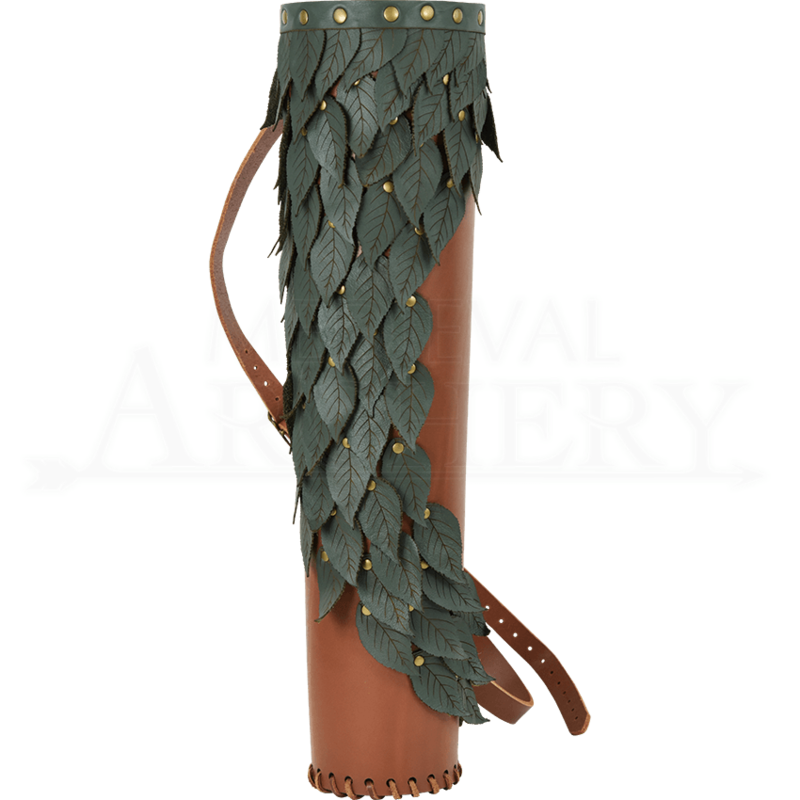 An essential accessory for any archer, the Hawthorn Quiver does its job well and with undeniable beauty that will impress at archery practice, the Renaissance fair, during LARP, or as part of a fantasy archer costume.